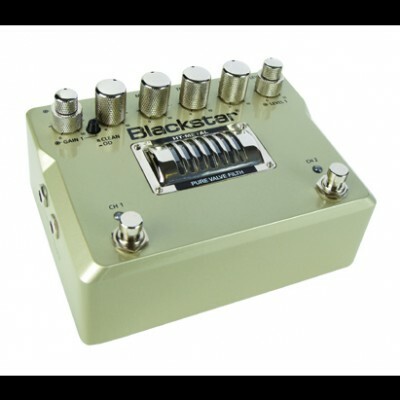 Blackstar HT-METAL valve distortion pedal is a no-compromise, two channel, ultra high gain, filth machine. Powered by true 300V high-voltage valve circuitry, this pedal offers cascaded tube gain stages and authentic tube amp response. Each ultra-high gain channel offers its own gain and volume controls. Channel 1 is equipped with a Clean/Overdrive switch. The three-band EQ includes Blackstar's patented ISF (Infinite Shape Feature) control, which re-voices the entire tone stack from British Heavy Metal to US High Gain. No compromises, no excuses, no apologies - stay Metal!